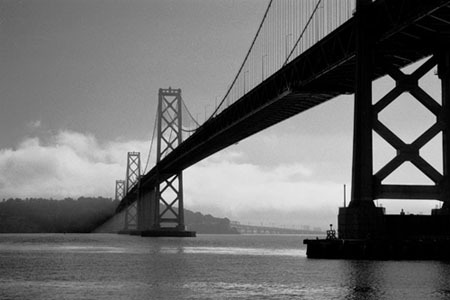 We arrived in San Francisco on Saturday the 9th of July 2005 following a 11:00am Virgin flight from London Heathrow. 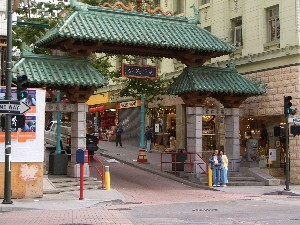 We stayed at the Hotel Vintage Court on Bush Street with Tammay's mother Kim, and Allen. 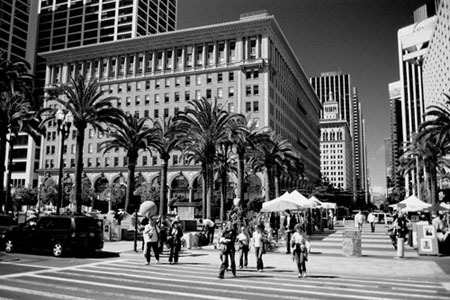 I decided to shoot with black & white film while I was in San Francisco and these can be seen below, followed by some holiday snaps. 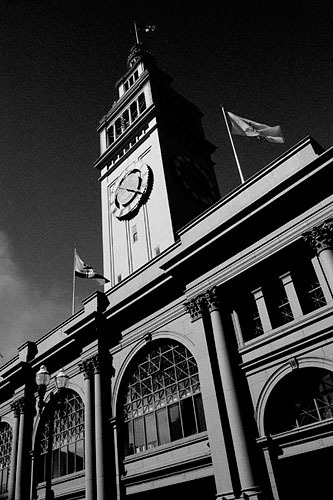 A view along Market Street from the San Francisco Ferry Building. 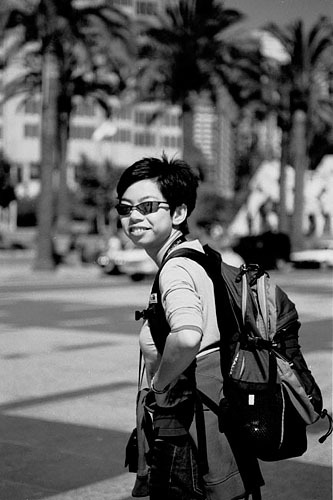 Tammay outside the San Francisco Ferry Building. 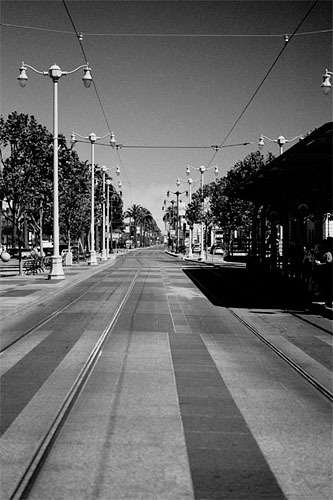 The tram-tracks outside the San Francisco Ferry Building. 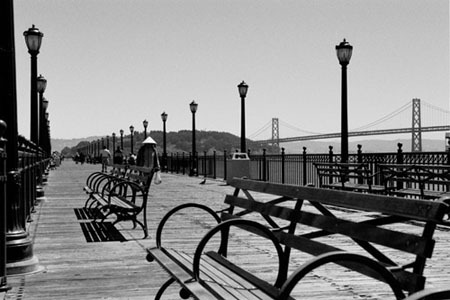 Pier 7 and the Oakland Bay Bridge. 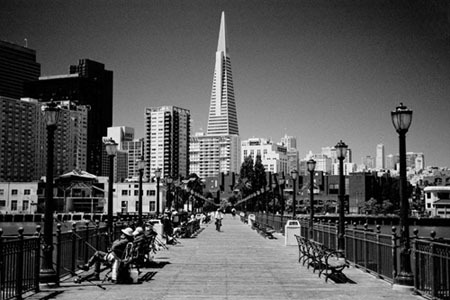 A view of the Trans America building along Pier 7. 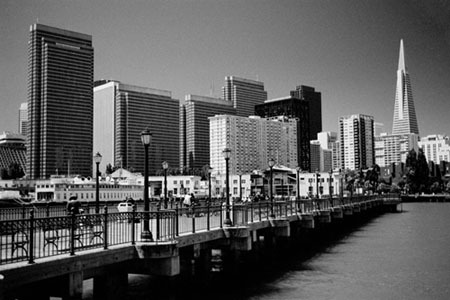 Pier 7 and the Trans America Building. 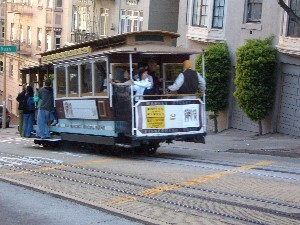 San Francisco trams along Hyde Street. 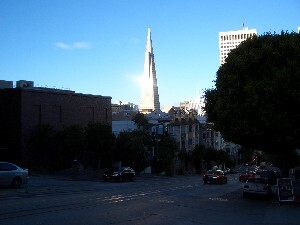 A view of the Trans America Building from its base. You will find below a few holiday snaps from the trip. 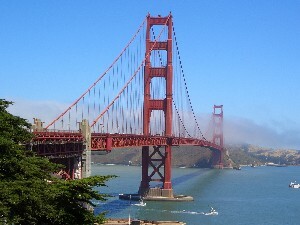 San Francisco – famous for its trams. 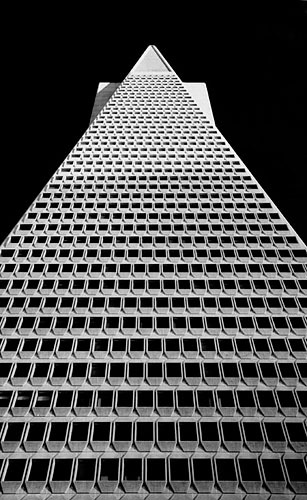 A view of the Transamerican Pyramid which is located at 600 Montgomery Street in the heart of the Montgomery Financial District. 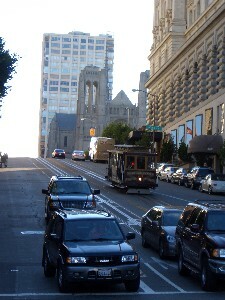 Cars and trams on the streets of San Francisco. 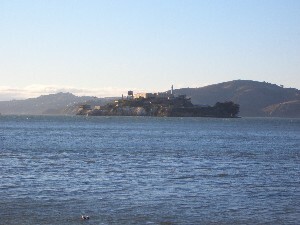 A view of Alcatraz Island. 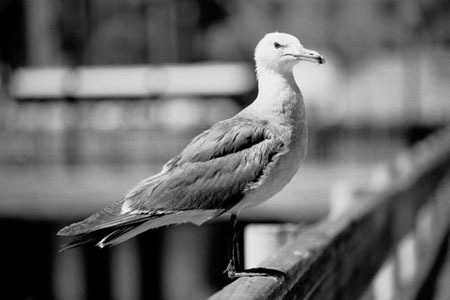 Alcatraz was used from the 1850�s to 1933 by the military to protect the bay shoreline. 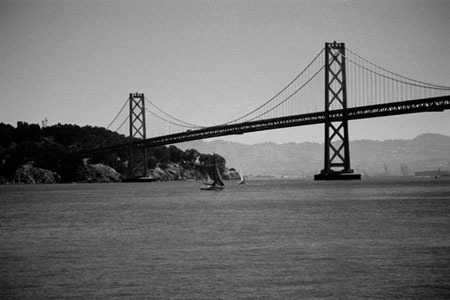 It was ten converted into a maximum-security prison and used to housed prisoners between 1934 and 1963. 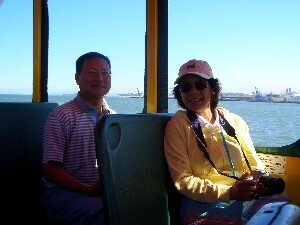 Kim and Allen sailing on The Bay. 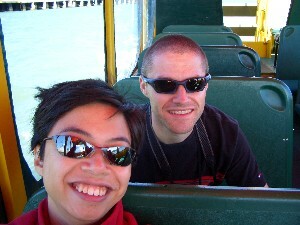 Tammay and I sailing on The Bay. 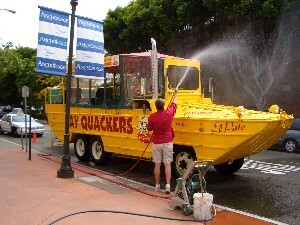 Our trusty Duck Tour Bus being cleaned down after our short sail in The Bay. 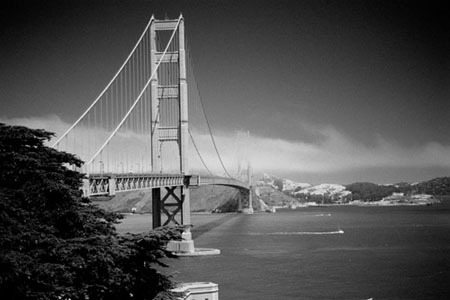 The Golden Gate Bridge taken from Golden Gate Park. 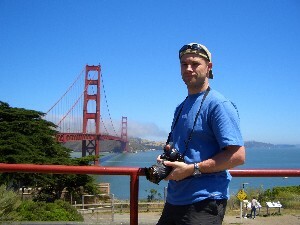 Me in front of The Golden Gate Bridge. 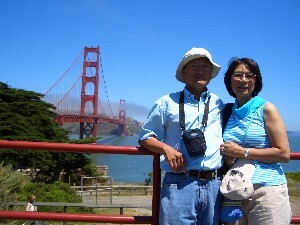 Kim and Allen in front of the Golden Gate Bridge. 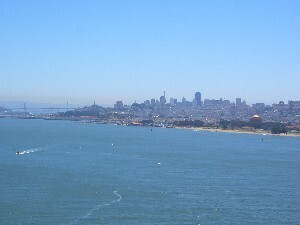 A view of San Francisco from the Golden Gate Bridge. 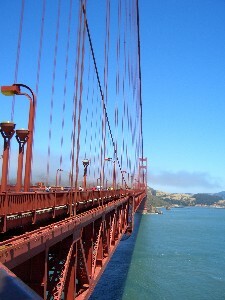 A view of the golden gate bridge from the side-walk. 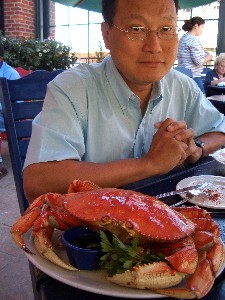 Allen eyes up his next sea-food meal. 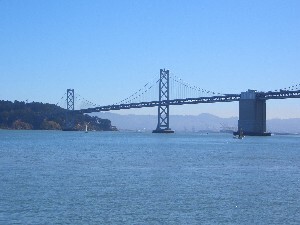 Following our trip I don't think there was a single crab or lobster left in the Bay Area! 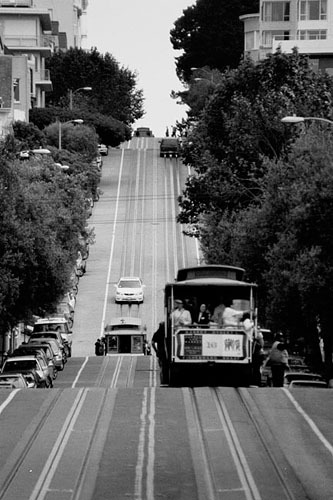 Cars queue up just to drive down Lombard Street, know as San Francisco's most crooked street with a series of eight hairpin turns. 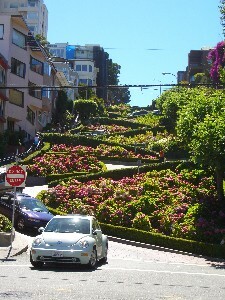 Located in Nob Hill, Lombard Street has also been the scene for many movie car chases. 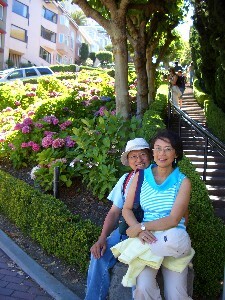 Kim and Allen at the bottom of Lombard Street.